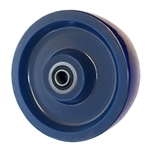 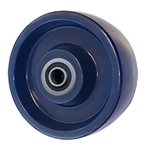 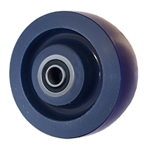 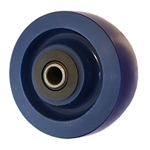 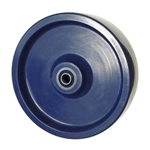 Solid Polyurethane wheels with crown tread provide smooth rolling and easy operation. 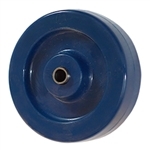 Unlike rubber wheels, flat spots will not occur on tread face from long periods of static use. 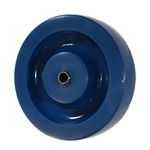 Polyurethane wheels are resistant to oil, grease, water, and most solvents. 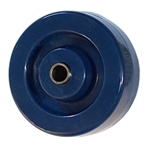 Wheel hardness is 60 - 65 Shore (D) Durometer. For assistance in ordering or for more caster and wheel options, please call our sales team in Berks County, Pa, 1-800-215-8220.